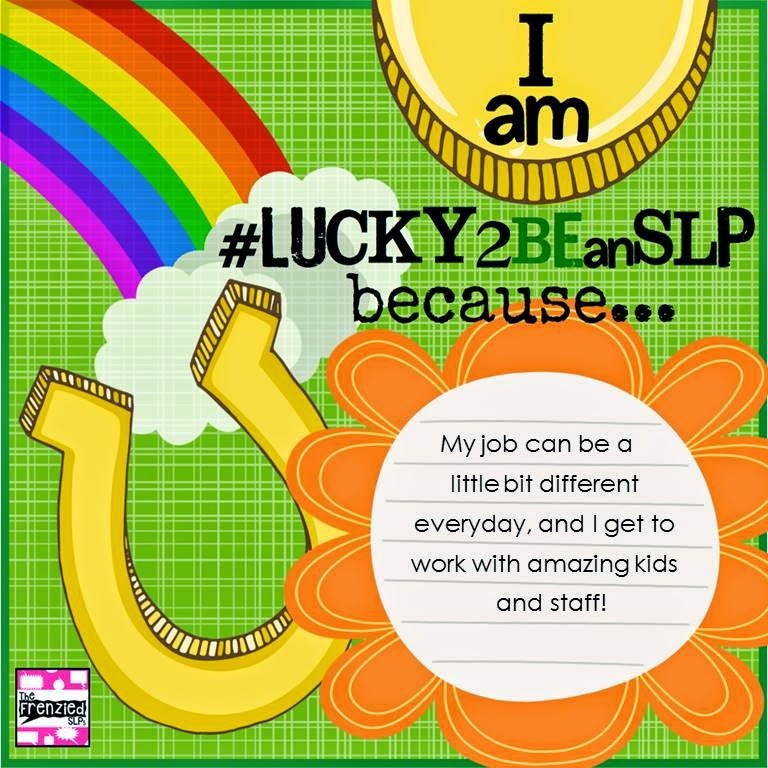 This month over at The Frenzied SLPs, we are talking about why we feel lucky to be SLPs. I feel lucky for so many reasons lately, and a lot of them have to do with this blog and my TpT store. Having the opportunity to share ideas at both of these places has really allowed me to bring more creativity into my therapy sessions. It has made me think broader and farther than I ever thought I would. I love creating my own materials and seeing kids really love using them too! I also love to hear that many of you love using these materials with your students also! The main reasons I feel lucky to be an SLP on a daily basis truly is the variety of students that I get to work with. I am blessed to have some of the best kids around (I might be biased). I love that my day can go from getting a smile or small interaction from one of my students who are non-verbal, all the way to bantering with some of my super fun fifth grade language students. My days are different all the time! I am also really lucky because of the company of staff that I get to keep. The people that I work with on a daily basis truly are amazing people. The special education staff at my school really is top notch, and I don't know what I would do without their support. The teachers that I work with are also so much fun to collaborate with. I am really lucky to also have a great support system in my front office. My principal and the secretaries are such supportive, caring people. Ok, gush fest over! How about if I have a raffle to make one of you #Lucky2BEanSLP? 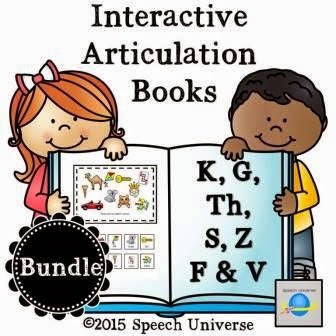 I am going to give away one copy of my Interactive Articulation Books Bundle. As it is right now, I have S, Z, F, V, Th, K, and G available in this bundle. I would love to own one of your bundles! I've been using a lot of interactive books with my kids lately so any of those would be great!